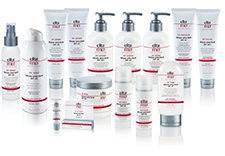 At Pure Dermatology, we sell a selection of high-quality skin care products. These are specially formulated products, which include sunblocks, moisturizers, retinoids, and anitoxidants. Our selection of products focus on protection, correction, and restoration. Our highly-trained skin care consultants work closely with Dr. Mann to design a skin care program that is appropriate and customized for each individual patient’s needs. We carry products by Elta MD, Epionce, NeoCutis, and Vivant. Epionce® is an evidence-based professional product line sold exclusively to physicians and other licensed skin care professionals to ensure you receive a comprehensive and effective skin care program specific to your needs. 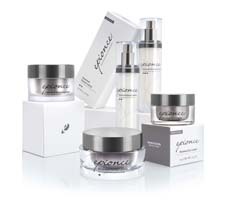 Click here to purchase Epionce products and learn more about the entire skin care line. EltaMD broad-spectrum sunscreens provide safe, broad-spectrum ultraviolet (UV) protection. A broad-spectrum sunscreen helps prevent sunburn and if used as directed with other sun protection measures, decreases the risk of skin cancer and early skin aging caused by the sun. UVA (aging) rays account for 95% of our sun exposure. They cause skin aging and contribute to skin cancer. UVA rays penetrate deeply into the skin layers, damaging collagen and cells which leads to wrinkling, hyperpigmentation and loss of elasticity. When wearing EltaMD sunscreens, the UVA and UVB rays reflect and scatter away from your skin, providing you protection from sunburn. EltaMD sunscreens help prevent sunburn and, if used as directed with other sun protection measures, decrease the risk of skin cancer and early skin aging caused by the sun. All EltaMD sunscreens are formulated with zinc oxide, a natural, mineral compound. Because zinc maintains its protective ability in the sun, it is more photostable than some chemical ingredients that may degrade. Zinc blocks the widest spectrum of UVA and UVB rays, protecting skin against burning and the premature appearance of aging and risk of skin cancer. Zinc is safe for even the most sensitive skin types. For nearly 50 years, Vivant® Skin Care has been dedicated to providing potent, medically-proven dermatological therapies. There’s no fluff, just purposeful skin care solutions. Founded in 1990 in California by the late Dr. James E. Fulton, Jr., M.D., Ph.D., co-developer of Retin-A®, and his wife Sara Fulton, Vivant Skin Care is a clinical skin care line rooted in Fulton’s patented vitamin A therapies. The line was inspired by Dr. Fulton’s personal struggle with acne and life-long study of and research in skin care. The resulting 35 + formulations are designed to treat skin conditions such as acne, hyperpigmentation and aged skin. Vivant Skin Care’s products successfully treat resistant skin conditions such as hyperpigmentation (melasma) and acne. An estimated 45-50 million women worldwide live with melasma, a condition that presents itself as brown patches or uneven skin color. 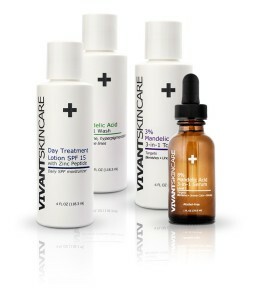 The Vivant Skin Care line provides a non-surgical alternative to achieving even and clear skin. TiZO Age Defying Fusion only contain Physical or Mineral sunscreens because physical (mineral) ingredients are healthier for your skin than chemical sunscreen filters – and, more protective. TiZO’s sunscreen filters, Zinc Oxide and Titanium Dioxide, are rated #1 and #2 for UVA-UVB protection both of which are extra gentle and natural minerals and combine outstanding UV protection with gentle, mineral-only formulas to prevent sun-accelerated skin aging and damage.